Recent movements like Time’s Up have focused the eyes of the world on the importance of diversity — and where it’s lacking. 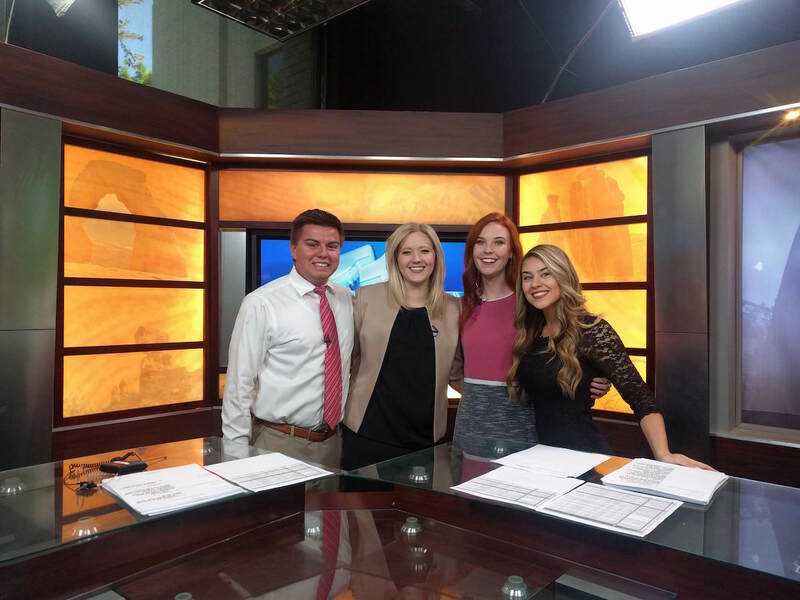 Two BYU news media students are doing their part to make a difference in the journalism field. 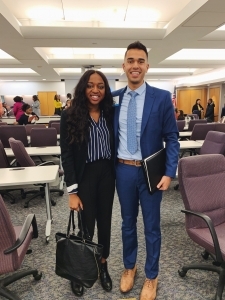 Cameron Hussein and Karmen Kodia, two juniors in the broadcasting program, recently traveled to New York City to attend the two-day 2018 Multicultural Career Workshop hosted by the International Radio and Television Society (IRTS) Foundation. Kodia said that attending the conference gave her a newfound appreciation for the role she plays in diversifying the media. Neither Kodia nor Hussein knew anything about the workshop until Professor Joel Campbell emailed them on a Friday afternoon telling them and a handful of other students to apply — and that they better do so quickly since the application closed the following Monday afternoon. Hussein took the opposite approach. After receiving the email, he just applied. “I didn’t think much of it,” he said. Regardless their approach, both received a notification saying they had been accepted later that week. The workshop consisted of one day of panels and another day where students had to pitch themselves to potential employers. Both Kodia and Hussein said that the second day was more rewarding but harder. “It kind of caught us off guard,” said Hussein. Neither of the students knew beforehand that they would have to pitch themselves to top-tier companies like Sony ABC, CBS and NBC until they were informed so on the first day. Both students spent hours in the hotel the night before researching the different companies so that they would be prepared. But that was just the beginning of what would prove to be a difficult process. “I didn’t expect it to be that intense. I just thought you would meet the companies, exchange contact info and move on,” said Hussein. “But you’re pitching yourself, you’re handing your resume out to them. They’re going to make notes and they’re going to remember you. Hussein said that he started out slow, warming up with companies that he wasn’t particularly interested in working for. However, by the end of the day, he was running from booth to booth just to get in his resume and give the recruiters a chance to see his face so they’d hopefully remember him later on. Hussein and Kodia both felt that their experiences at BYU prepared them to be able to successfully pitch themselves to recruiters. 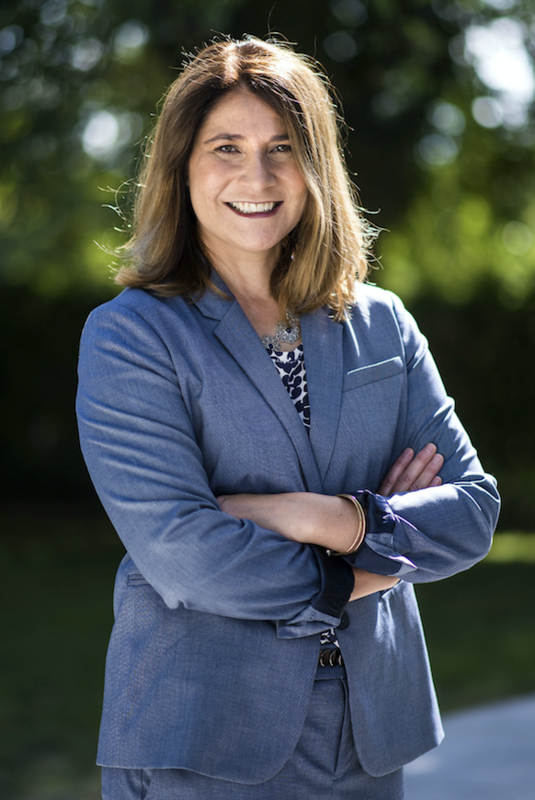 Kodia stated that her experiences at BYU also helped her to wow recruiters. Both Kodia and Hussein said students should be invited to apply for the workshop every year. 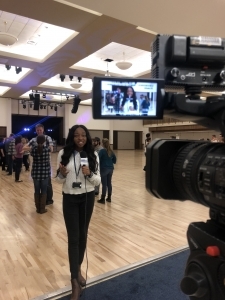 Kodia said that, while the School of Communications has done things in the past to bring attention to the importance of diversity — such as symposiums, panels and incorporating the topic in classes — helping students go to workshops like these is the next step. Both students said that interacting with the students, recruiters and panelists at the conference opened their eyes to new things. Hussein said the highlight of the conference was talking one-on-one with director and producer Kameron Mack. During his time as the University of Kansas, Mack started a personal project covering campus fashion. He landed a segment on the school’s news station that eventually led him to real-world jobs covering fashion and sports. For Hussein — who is also interested in covering fashion and sports — Mack’s story resonated with him. Mack encouraged Hussein to start his own segment at BYU. Kodia said that she’s always wanted to aim for a news anchor position, but that she knew that she wouldn’t be able to realistically get it immediately. However, at the workshop she was able to learn the steps to help her get there. 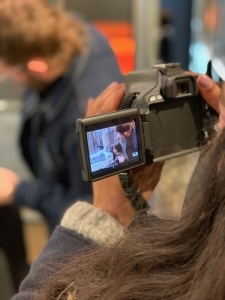 “That was the biggest thing, just knowing that there’s so much more out there in the media world that I didn’t know about, that there’re things I can do before actually doing news,” said Kodia. Over the winter break, Hussein went through every company’s website that he had met with and applied to any position they had open. He ended up applying to over 200 internships. He has already been called in for second-round interviews with companies like ESPN and NBC. Sydnee is an assistant public relations coordinator for the College of Fine Arts and Communications. She is a junior majoring in communications with an emphasis in news media and a minor in Spanish. I consent to BYU School of Communications collecting my details through this form.